mwe3: The new Hi Fly CD is your best yet. How would you say it represents the height of your guitar career? JOHN STEIN: First of all, it pleases me that you really like my new recording. I put a lot of time and effort into my musicianship and its very nice to be appreciated. The Hi Fly CD is my most recent tangible project, so perhaps it represents the current state of my musical progress more clearly than my earlier recordings. I love the fact that music is a challenging art form. Every experience adds something to my understanding, and I bring my accumulated wisdom to each new project. mwe3: You were born in Kansas City. What was it like growing up in Missouri and how did the guitar impact your life early on? JS: I began to play guitar as a 7 year old. I was fortunate to have a wonderful teacher. Her name was Charlene Kunitz, and she mentored me until she moved with her husband to California when I was 11 or 12 years old. Charlene was primarily a folk singer and guitarist at that time, although she had a background in classical music. She exposed me to many foundational music concepts. I learned a little classical and flamenco guitar, but mostly I learned to accompany myself singing folk music from all over the world. She taught me songs in a variety of languages, and she also provided performance opportunities. As a child I participated in concerts and got a taste for presenting music to people. Music-making provided some of the earliest successes I had in my life. People loved to listen to the little kid play and sing. I guess that started me on my eventual career path. I did grow up in Kansas City and that area somehow shaped my sensibilities, my internal clock, and the pace of my life. KC is right in the middle of the US, with lots of space around it, and life there has a certain tempo and rhythm  very different than the faster pace of life where I live now. Im an East Coaster at this point, having spent most of my adult life here, but still I was molded in the laid-back Midwest. Kansas City is a swinging blues town. I think my affinity and love for common-time bluesy music comes from growing up in Kansas City. mwe3: How was it making the transition from Kansas City to Berklee in Boston? And can you say something about your long standing affiliation with Berklee School Of Music and where you live these days? JS: Actually, I moved around quite a bit in my early twenties, and from Kansas City I found my way to Vermont. I did various things to make a living  auto mechanics and carpentry  but I always had a guitar with me and at some point I realized that I really wanted a musical career. I tried to make a living in Vermont as a musician but it was hard. There were creative people to hang with, but Vermont is essentially a rural state and there arent a lot of real career opportunities in music. I was reading guitar magazines then, and I kept encountering successful musicians who had attended Berklee College of Music in Boston. Well, Boston is only a couple of hours from where I was living in Vermont, so it was an easy choice to hop down and give myself a professional advantage by studying at Berklee. When I got to Berklee I found exactly what I was looking for. There is so much incredible musical knowledge at the school. I had the opportunity to study with experienced teachers, and I was exposed to a deep and thoughtful curriculum that makes all the knowledge accessible. For the first time in my life, I was a devoted and committed student. I threw myself into my studies because I wanted a career in music and I knew I needed every bit of information I could glean from the school. What I didnt expect was that Berklee would offer me a job when I graduated. I thought about it for a minute and then decided to accept. Its hard to imagine how long ago that was, but Ive been at Berklee ever since. My role has changed a few times over the years. At the moment, I teach in the Harmony Department, which means I share my understanding of the theory of popular music. I think it is somehow fitting that I teach these classes, because it was the Harmony curriculum that I found so compelling and useful when I arrived at Berklee. Im passionate about the material I teach because I use it every moment while I am making music. mwe3: Can you remember your first guitar or guitars and what types of music did you practice to develop your technique? Do you still practice guitar a lot these days or are you mostly writing music? JS: Ive loved guitars since I was 7 years old. I have way too many right now, and Ive owned a lot more guitars over the years that Ive passed on to others. Im not a collector of guitars, actually, although you might think so if you could see all the guitar cases stacked up in the corners of my room. My obsession with guitars is tied into my growth as a musician. I think one of the aspects of development as a mature musician is learning how to cultivate a unique personal sound. Since the guitar is my tool of choice to produce musical sound, I have experimented with many instruments as I refine my understanding of tone and touch. I started at a very young age on a beginner guitar and after a few years my parents gave me a quality instrument, a Goya classical guitar. When I became a teenager I joined a rock band and I got an electric guitar. It wasnt a typical guitar for a rock musician. My grandfather knew someone who sold instruments and arranged it for me. It was a blonde 1959 Gibson ES 175 guitar. I have a promo picture for my high school rock band, and there I am holding that beautiful instrument. Unfortunately, I sold it when the rock band fizzled. All I have left now to remember that guitar is the picture. I guess the 175 started me on my lifetime fascination with Gibson guitars. It also helped that most of my jazz guitar idols played Gibsons. Although Ive owned and loved Martins and Fenders, I would have to say I am a dyed-in-the-wool Gibson person. I do practice guitar  as often as I possibly can. It is the most engaging and enjoyable activity for me. If I could arrange it, I would practice even more, but lifes responsibilities tend to present obstacles. I write music in fits. I can get into a mode of writing tunes and come up with a batch of new compositions, but I can also go months at a time without writing. I never stop playing guitar, though. Its my favorite activity, and it is a rare day that I dont play quite a bit. mwe3: Who were some of your big guitar influences growing up and how did you try to emulate your heroes and also develop your own style? JS: Since Ive been a musician most of my life, I have had an opportunity to play many styles of music and my musical interests have been fairly broad. When my career path became clear and I decided to do music in a serious way, I gravitated to the type of music that provides me with the most challenge and inspiration  jazz. I enjoy other types of music but rarely accept gigs in other contexts. I do have a number of musical heroes, and not just guitarists. The fact is, I love thinking about music and I love the challenge of trying to improve myself. I learn tunes. I learn solos that other great musicians have played. I analyze the work of other musicians, their compositions. I study types of music, and the great players and composers in each style. I study the great instrumentalists on all the different instruments, not just the guitar. I read biographies and autobiographies of great musicians. I read about the historical periods of jazz music. I hang out with musicians as much as possible and try to learn whatever they can teach me. 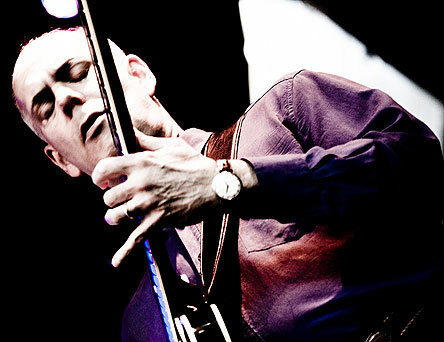 Of course, I also work specifically on guitar technique  scales, chord voicings and so forth. Since I play guitar myself, I have probably listened more to guitarists than anyone else. The most influential guitarists for me  my two personal guitar heroes  are Wes Montgomery and Jim Hall. I love these musicians unique personal styles and I have always tried to take from each the elements that I most enjoy, incorporating them into my own style. I love Wes lyrical melodic sense, his phrasing and rhythmic grace. I never got to meet Wes, he passed way too early, but he touched me deeply. I think Ive learned the most about how to play in a jazz group from listening to Jim Hall interact with his musical partners. I have been inspired by his intros and endings, the color notes in his voicings, his comping sensitivity, and his guitar sound. I love Jim's collaborations with Paul Desmond, Art Farmer, Sonny Rollins, Bill Evans, Ron Carter, Red Mitchell, and many others. I feel fortunate to have a small personal relationship with him. In the final analysis, what matters is the extent to which I can absorb and internalize all my studying, so that when I make music I can most truly express who I am as a human being. I really cant sound like any of my heroes, because they are all unique and special musicians. Im just doing my best to use what I am learning in order to express myself. mwe3: When did you decide to become a recording artist and how did you overcome your obstacles to reach your high level of musicianship? JS: Recording for me serves a dual purpose. First of all, it documents my artistic development at a given stage of my career. I have recorded 10 CDs as a leader so far. I treasure each recording. In every instance, I produced the most excellent product that I knew how to create at that moment, so each represents my cumulative knowledge at a specific moment of time. And because the effort is cumulative, each successive CD contains more information and represents some kind of growth. This is not to say that every successive CD is qualitatively better than previous ones, only that I had more skill and awareness each time and tried to use it to make a better recording. The other benefit I receive from recording is that preparing for a recording provides wonderful focus for my artistic efforts. I compose music for the session with the specific musicians in mind. I scour my music library for tunes that I love enough to invest effort into devising unique arrangements. I am also a democratic band leader and allow my collaborators to have a lot of input into the arrangements. This means that often, when the ideas come from the others, I am not in a comfort zone and I have to really stretch to keep up with their virtuosity. I think the collaborative nature of my recent recordings has really pushed them forward and made them more special. mwe3: Your 2011 album Hi Fly is your best album yet. Any cool story behind the album and how long have you known and how did you meet up with your current group featuring keyboardist Jake Sherman, John Lockwood on bass and Ze on drums? How would you describe the chemistry between you and your band? JS: Once again, Im really pleased that you like the CD. Hi Fly is the third in a series of quartet statements. I recorded Encounterpoint in 2007, Raising The Roof in 2009, and Hi Fly in 2011. John Lockwood plays bass and Zé Eduardo Nazario plays drums on all three. The first 2 recordings have a wonderful Japanese pianist named Koichi Sato, while the newest CD uses Bostonian Jake Sherman. So only the piano chair has changed. We are not a steady working band. In fact, we generally play a concert just to get an experience on the bandstand, then head right into the studio to record the CD. Since this has now happened three times in the past few years, there is a growing sense of familiarity between John Lockwood, Zé Eduardo Nazario and myself. Jake Sherman, like Koichi, is another very young, precocious, and awesome talent. Im always amazed by guys who mature as musicians so quickly, and find it easy to hang with older, very experienced musicians like John, Zé, and myself. Both Koichi and Jake are exceptional. It seems to me that the most significant growth that has occurred between us throughout the process of recording these albums is the increasing collaboration. Many of the arranging concepts come from the other guys  they are contributing musical ideas, and some of what happens is pretty spontaneous. For example, we were recording the tune Love Letters for the new CD. I had conceived of it as a fast jazz waltz and we played it that way throughout the melody statement and the piano solo. Right when I began to solo, the bass and drums suddenly changed the time feel and I felt like I was riding a pony that took the bit in its mouth and galloped off. John Lockwood and Zé launched into a blistering 4/4 and I grabbed the ponys mane and held on for dear life. When I listen to that song, Im proud of what I managed to accomplish, but it sure took me by surprise in the moment. mwe3: What guitars do you perform on Hi Fly and what amps and guitar effects do you utilize live and in the studio? What are some of your other favorite guitars? JS: I think that I sound more or less the same on my recordings. Thats interesting since I have recorded with many different instruments and different amps. I think it points out that I have a fairly clear picture of the sound I love, and manage to use various different pieces of equipment to achieve my sound. 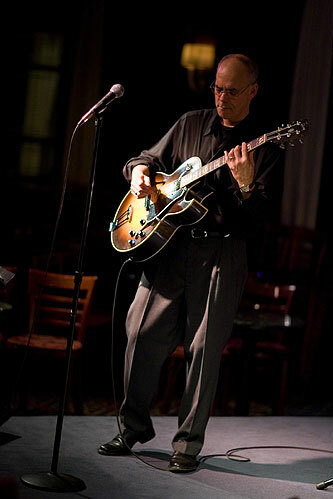 The guitar I used on Encounterpoint was a 1961 ES 330. I liked that guitar so much that when the Gibson Custom Shop began to offer a reissue of the ES 330 a few years ago I bought one. I love the guitar, although I virtually exchanged all the important parts. I bought a 60s trapeze tailpiece on eBay to get rid of irritating rattles in the one that came on the guitar. I changed the P90 pickup in the neck position to a Lindy Fralin humbucking P90. I never use the bridge pickup, so I didnt bother to change it. Although I really enjoyed the sound of the single coil Gibson P90, in certain situations it was just way too noisy so I opted for the humbucker. I changed the nut, the bridge. All that I left untouched was the wood. It is now a superb guitar and I played it on both Raising The Roof and Hi Fly. I have a high quality lightweight flight case that fits the guitar so I use it exclusively when I travel. Recently I discovered and purchased a 1962 Epiphone Broadway and have fallen in love with it. Epiphone was Gibsons only serious factory jazz-guitar competitor and early Epiphones are fantastic instruments. By the 50s Epiphone was on the ropes, going bankrupt, and in the late 50s Gibson acquired their name, their fixtures, their equipment, and all their leftover parts. Gibson began manufacturing Epiphone guitars and did so throughout the 60s from a building right around the corner from their regular factory in Kalamazoo, Michigan. Gibson-made Epiphones from the 60s are essentially the same quality as Gibsons from that era, the only differences being the name on the headstock, and some design idiosyncrasies regarding body shapes and sizes. Current Epiphones are budget guitars manufactured overseas, but my Epiphone Broadway is a killer guitar, and right now my absolute favorite. I have two other exceptional instruments: a 1957 ES 175, with a single humbucking pickup. 1957 was the year Gibson first started putting humbucking pickups in their guitars, so mine has one of the very first humbuckers, the famous PAF. I also have a 1953 ES 350, which is a full depth 17 archtop. It is pretty rare because this model was made in smaller quantities and for a limited number of years. In 1956 the ES 350 model was changed to a thin-bodied guitar with a short scale neck, a different beast altogether. I use two amps. My favorite for gigging is an AER Compact 60. It is a German amp that is incredibly small and light weight, sounds really good, and can handle nearly any normal gigging situation. My recording amp is an Acoustic Image Corus. Its also small and lightweight, just a bit bulkier to carry around so I reserve it for special occasions. It gets closest to the tone I love when it amplifies my guitar  very transparent and warm, and it sings. I never use any effects beyond a small taste of reverb. I simply plug in the guitar and play. mwe3: When you write music, what is your train of thought and can you say something about your original compositions on the Hi Fly album? JS: One of my favorite periods in jazz music history begins in the 50s and extends through the 60s into the 70s. Those years were the heyday of Blue Note Records. Many of the classic jazz recordings were done by that label and nearly all the great jazz musicians of that era had some kind of affiliation with Blue Note. 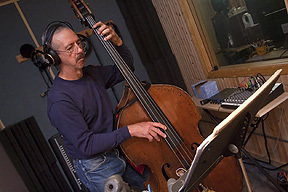 Many of the musicians who participated in those recording sessions created and recorded original jazz compositions. So I have always had a model in which it is important to contribute original compositions to jazz recordings. Additionally, I have spent years studying the Harmony curriculum at Berklee College of Music and it is useful to both analyze the tunes of others and to compose ones own tunes. I have the knowledge necessary to compose my own music and the inspiration to do so. As I said in response to one of your earlier questions, I go through periods when I compose more than others, but all my recordings contain at least some original tunes. Hi Fly is half and half. Im very proud of my compositional contributions to this recording. The tunes are stylistically wide-ranging  from funky mainstream to modal modern. Because I like to write and believe strongly in it, I have authored a couple of books designed to help jazz musicians compose music for their own performances. I have been writing columns for Just Jazz Guitar magazine for a number of years and I compiled the educational materials into two books that are now available. One book concentrates on writing blues tunes and the other concentrates on writing standard songs and jazz tunes. Each book includes a CD featuring performances of the musical examples. I wanted to provide an opportunity for people to learn some of my tunes, and also help them learn to compose their own. mwe3: How about cover tracks here? Can you say something about how you chose the cover material you and your group perform here? For instance I didnt know that Kurt Weil wrote the lead off track Speak Low. How about that one and what do you look for in a cover? JS: I always try to arrange a standard tune in a unique way. A tune is a standard because people like it and use it often. Some of the great standard tunes have probably been covered a thousand times and the last thing the world needs is another run-of-the-mill version. My drummer, Zé Eduardo Nazario, is from Brazil and he has an encyclopedic knowledge of North American jazz and Brazilian rhythmic styles. He helps me come up with interesting treatments that juxtapose North and South American musical styleslike the creative arrangement of Hi Fly, the title track of the new CD. I also look for tunes that are really nice, but somehow overlooked. Its great to remind people of quality songs that fly below the radar. Lazy Afternoon is an example of that. My favorite version of Speak Low is a collaboration between Ella Fitzgerald and Joe Pass, a gentle duet. Our rendition is certainly quite different! The only absolute for me when I choose repertoire is that I actually love the song. I respond emotionally to music, and if a song doesnt reach me emotionally it doesnt interest me. mwe3: What was it like working with sound expert Peter Kontrimas and what did he contribute to the album? 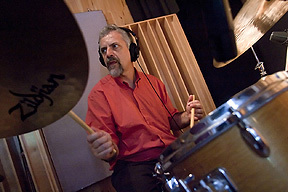 JS: Peter Kontrimas does much of the jazz recording in the Boston area. His studio is well-designed, with flexible space to accommodate different musical situations, orderly, his equipment is good. He is the only person who works there, so he knows every cable, headphone, microphone, etc. Its important that the engineer know the studio and its equipment well. 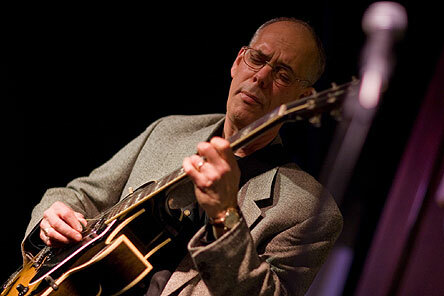 Additionally, Peter is one of Bostons finest acoustic bassists, he has great ears and really understands the music. Every time I return to his studio he seems more attuned to the process, and has fine-tuned his equipment and his methods to produce better results. We play and capture the music in 2 days of recording. Then I return to the studio and sit with Peter, making a host of decisions to polish and blend the music into its final form. Selecting the takes, mixing, and mastering typically requires more time than the actual music-making sessions. There are so many decisionswhere to put each instrument in the stereo spectrum, how to tonally shape the sound of each instrument, how loud in relation to the others, its a fascinating process. We start with the drums. My drummer is a Zildjian cymbal endorser and when he comes up from Brazil we visit the Zildjian factory located in Norwell south of Boston to select cymbals for use on the recording. When Peter and I begin mixing we spread the cymbals around in the stereo spectrum as if we were sitting on the drum throne and striking them. Its such a pleasure to hear Zés beautiful cymbals, and the other parts of his drum set from the drummers vantage point. We build the music from the drums up, adding the other instruments to the mix, taking care to place each in a distinct location. Everything has to blend and yet each instrument must also have a strong individual presence. Its quite a process, requiring attention to detail and great patience. The more recording experience I have accumulated, the more actively I have participated in the mixing and mastering process. But ultimately, the audio quality, clarity, and polish of Hi Fly is a testament to Peter Kontrimas skill. mwe3: Whats it like recording on a great label like Whaling City Sound, headed up by Neal Weiss, and how about your future plans this year and next? JS: I recorded my first 5 CDs and released them in a variety of ways on different labels. It was a learning process regarding the music business and I took some of the typical lumps that a novice experiences in a complicated and difficult business environment. Eventually I met Neal, and now I have a wonderful and supportive partner. He is located in New Bedord, a port city in Southern Massachusetts where the whaling industry was once centeredhence the label name. He is always totally respectful and collaborative. He finds people whom he admires and then gives them free reign to be creative, not interfering with their artistic processa wonderful administrative style. He always puts quality first, he believes in promotion, never cuts corners. 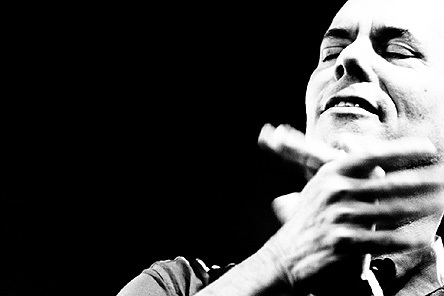 His label to date has released a little more than 50 CDs, so he is building a substantial independent catalogue of quality releases. Neal also thinks ahead. 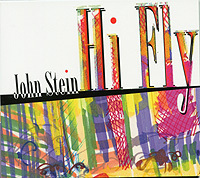 The new CD Hi Fly was recorded last February and is finally being released now, in September. It takes many months to bring a project like this to fruition. In order to stay on a roll, Neal is supporting me to return to Peter Kontrimas studio this coming November to record another CD so that we will have a follow-up ready when Hi Fly has had its day. Im practicing the music on Hi Fly now so I can present it to people this fall in several CD release concerts, and simultaneously preparing music for the fourth recording in my quartet series. Neal has become as important a collaborator as the members of my band and my recording engineer. I simply could not do what I do without him. Robert, thank you for your thoughtful questions and your encouragement to reply in depth. I really appreciate the platform you have provided and the opportunity to share my process with your readers.